South Florida’s real estate market will get a jolt of new investment in 2019 from President Trump’s new tax law, despite concerns over rising interest rates, according to real estate professionals surveyed in the tri-county area. The tax break, which includes the Opportunity Zones program, was one of the main reasons for optimism for this year’s commercial real estate market, according to the Miami law firm Berger Singerman’s survey of more than 2,000 professionals in South Florida’s real estate industry. Opportunity Zones provide substantial tax breaks to real estate investors and developers who put money into distressed areas. In the survey, 54 percent of respondents said the tax bill would bring investment to South Florida’s commercial real estate market. In total, 36 percent of respondents said 2019 would be an improvement from 2018. But 32 percent said it would be worse, 15 percent said the year will be on par with 2018, and the remainder said they were unsure. The Tax Cuts and Jobs Act is particularly beneficial to South Florida since it limits the amount of state and local tax deductions for wealthy individuals in the Northeast. This change will benefit Florida, where there is no state income tax, and lead to an influx of people from New York, New Jersey and Connecticut trying to establish residency here, according to some tax experts. The Berger Singerman survey comes amid a slowdown in South Florida’s condo market over the past two years. Nationally the retail market is struggling and some major retailers have declared bankruptcy and shuttered stores. The U.S. stock market also fell sharply at the end of 2018, raising concerns for many real estate investors. 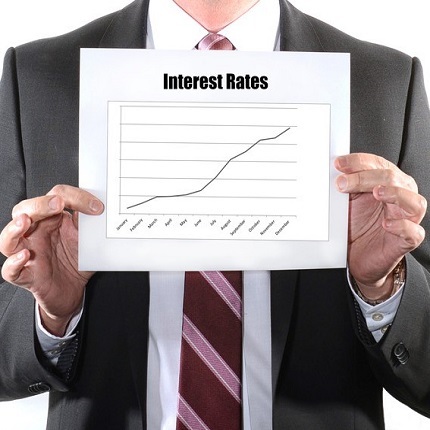 In 2019, 37 percent of South Florida real estate professionals believe the biggest issue will be rising interest rates, according to the survey. Barry Lapides, a partner with Berger Singerman, said that respondents were likely concerned about uncertainty around the Fed’s policy to raise interest rates and issues around the Fed’s independence from the president. Foreign investment was the second biggest concern at 26 percent and oversupply ranked third at 24 percent. Lapides said he found the oversupply concern interesting because 36 percent of respondents also predicted that multifamily would see the highest returns in South Florida in 2019. Some experts and lenders believe that the future demand for Class A apartments in Miami will decline as the condo market slows down. This slowdown could lead to an influx of more condo owners looking to rent out units, putting them in direct competition with new apartments. In the survey, about 21 percent of respondents said the industrial market would perform best, and 11 percent said retail and office would have the highest returns. An even more surprising tidbit from the survey was that about 12 percent of respondents said they would still use bitcoin or cryptocurrency in a real estate transaction in 2019. Bitcoin and cryptocurrencies prices have dropped significantly since last year and a number of notable crypto fraud cases has scared many investors away. Another trend expected throughout 2019, according to Berger Singerman partner Jeffrey R. Margolis, is an increase of investment in areas outside the urban core such as north Broward County and Palm Beach County as prices become more expensive in Miami and Fort Lauderdale.